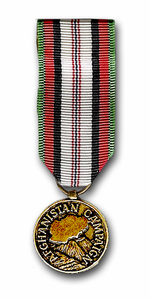 This Afghanistan Campaign Military Medal is the same medal found in the military exchange and uniform shop systems. It is manufactured by the same supplier that produces them for the military. It meets or exceeds all United States government specifications.